Berlin 2018 – 2018, Berlin will host the European Athletics Championships in 47 disciplines. From August 7th-12th, 1500 athletes from more than 50 nations will transform the German capital into Europe’s athletic metropolis. After the German athletes’ tremendous success in Rio 2016, the European Championships in Berlin are much anticipated. From discus throwing to high jump to steeplechase – at the European Athletics Championships 2018, the international athletes will show their very best performances. There will be many highlights: On day 1, there will already be women’s and men’s 100m finals. On the second day, the winners in combined events will be declared. On days three and four, witness women’s heptathlon. Another highlight consists of the marathon race on August 12, which will lead the athletes through Berlin’s inner city. Especially the eventful evening sessions are packed with exciting finals and races to the medals. 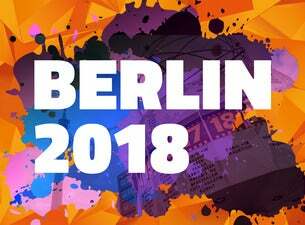 Set in the athletic and cultural metropolis, Berlin2018 is sure to be an absolute athletic highlight. Tickets for Berlin 2018 European Athletics Championships are available at Ticketmaster.